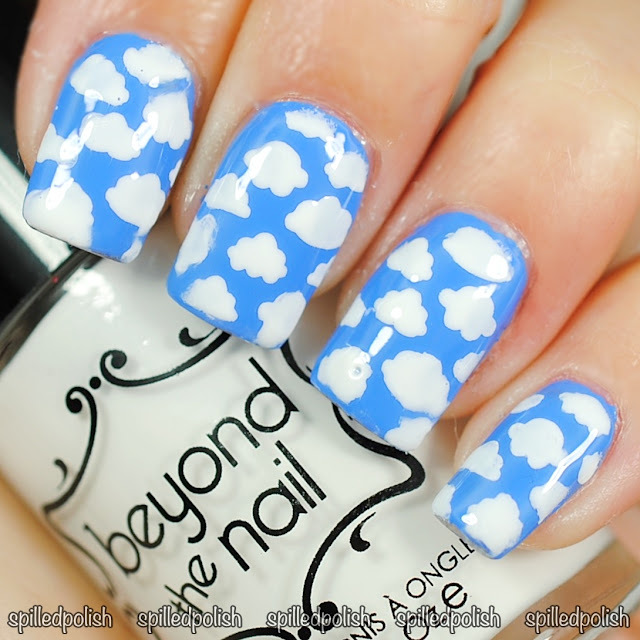 We recently made a bunch of new nail guides for the shop, and this is one of them - Cloudy Skies! I painted my base with two coats of Beyond the Nail - Cornflower Blue. When it was completely dry, I placed on a Cloudy Skies Nail Guide onto each nail and painted over it with a thick coat of Beyond the Nail - Bright White. I gently peeled away the nail guide while the polish was still wet. I finished it off with one coat of PRO-FX - Quick Dry Topcoat.